BRIGHTON, Mich. - Ford has just announced plans to launch the largest salaried hiring initiative in more than a decade, by bringing on 3,000 new employees. Consumer demand has increased drastically this year, as Ford products are selling quickly at dealerships across the country. With this increased demand, Ford is in need of more employees to keep up. The key areas that will be hiring are product development, engineering, IT, and quality manufacturing. The company says they have already hired 1,500 new employees, and are looking to hire another 1,500. The best part about Ford creating so many news jobs is that 85-90% of these positions are in Michigan! Ford Motor Company has been in the news quite a bit, and mentioned on our blog frequently, as it is seeing a huge increase in sales this year. With so many honors and awards being bestowed on Ford vehicles - specifically the Ford F-150 being named the Most American vehicle - many consumers are turning to the brand as their number one choice when choosing a new vehicle. 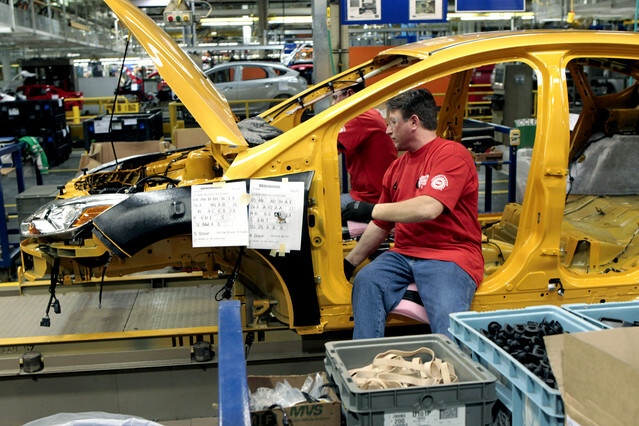 With this continual increase in demand, Ford has vowed to create 12,000 hourly jobs in the U.S. by 2015. If you'd like to discuss getting your own Ford vehicle, or even just chat about Ford launching the largest salaried hiring initiative in more than a decade, stop by our Wixom Area Ford Dealership today! We'd love to help you into a New Ford Truck or assist you with Car Loans. Come see us today and let us take care of all of your automotive needs!